Online ordering menu for JUANY'S CAFE & GRILL. 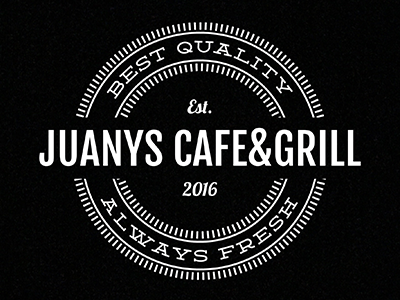 Juany's Cafe & Grill in Fair Lawn, New Jersey serves breakfast and lunch fresh and made-to-order. Create your own Breakfast Sandwich or try our Breakfast Burrito and French Toast. Some of our sandwiches include Cheese Steak, Chicken Milanese, and Sirloin Steak Sandwich. Don't forget to try one of our burgers such as the Country Ranch Burger, Mama Mia Burger, and the Mexican Fiesta Burger. Find us east of the Passaic River on River Road. We're just a few blocks from Memorial Park! Order online for carryout!